Note: This article is available on NQ Online. Please bookmark and share that version, as I will eventually delete this Medium account. It consists, in outline, of a sort of revolving drum, round which the fish is dragged by its tail, meeting on the circuit with saws, knives and other devices which perform the various operations. 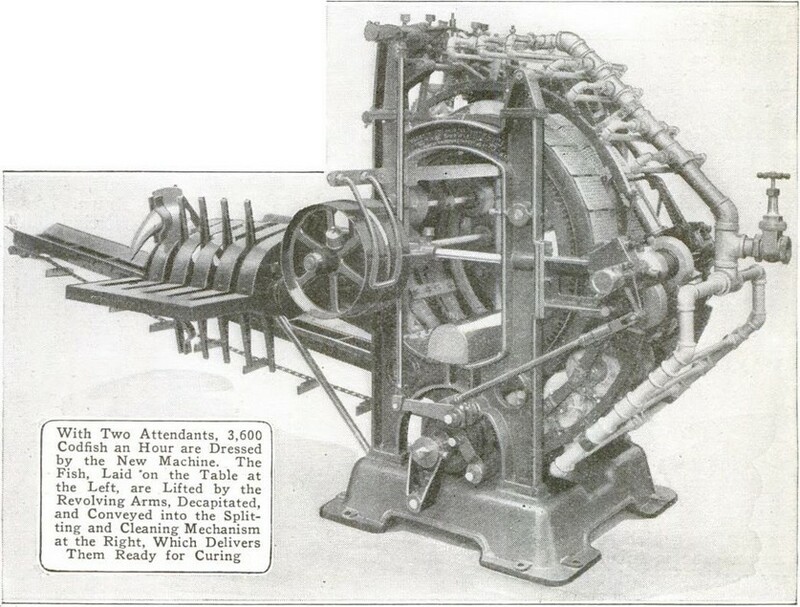 As “Progress” tells it, around 1917 a company in St. John’s, Job Brothers & Co., asked the manufacturer of the salmon-canning machines whether a similar device might be designed to process cod. 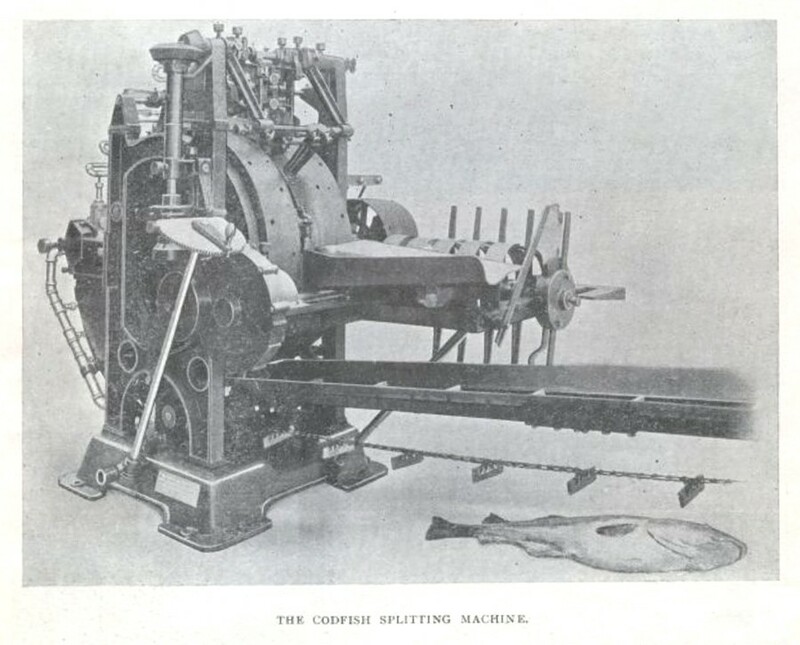 The result, after years of prototyping and fine-tuning, was the codfish splitting machine. 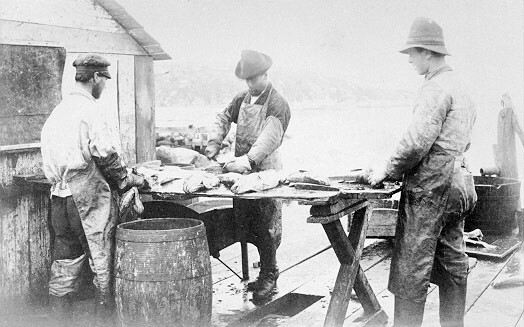 I love the image of the codfish splitting machine labouring away “in the flickering torchlight.” There’s something so quaint about it… especially compared with what fish splitting looks like today. As Creative Nonfiction Fellow with Newfoundland Quarterly, I’ll be writing my way through the magazine’s archives all year. You can reach me on Facebook or Instagram, and follow NQ on Facebook.